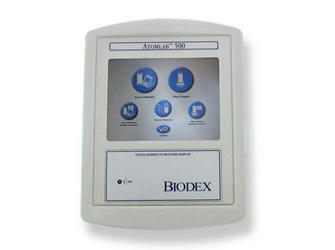 Biodex has made recent updates to the Atomlab 500 Dose Calibrator software (applies to software v1.22 or later). The upgrade will update the Atomlab 500 software to the latest version. It is applicable for the following products: Atomlab™ 500 Dose Calibrator, Atomlab™ 500Plus Dose Calibrator, and Atomlab™ Wipe Test Counter. For instructions on how to update the Atomlab 500, Atomlab 500Plus and Atomlab Wipe Test Counter, please click on the manuals tab above.